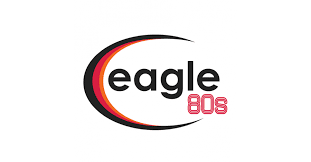 UKRD have launched a new Eagle Radio digital sister station for Surrey, Eagle 80s, playing hits from the 80s such as Livin' On A Prayer, Billie Jean and Girl's Just Wanna Have Fun. Eagle 80s joins Eagle 70s which launched in April 2016. Peter Gordon, Content Director, said: “Eagle Radio is growing fast - as well as running our broadcast area's most successful full service commercial local radio station, we've had a phenomenal reaction to our 70s brand which launched last year. With the music from the 1980s continuing to have such a following, we thought Surrey & Hampshire should have its own 80s station operating 24 hours a day, 365 days a year." Eagle 80s is on-air from Monday 16th April and is available locally on DAB+ as well as online, via Eagle Radio's free app and on smart speaker devices (Amazon & Google).